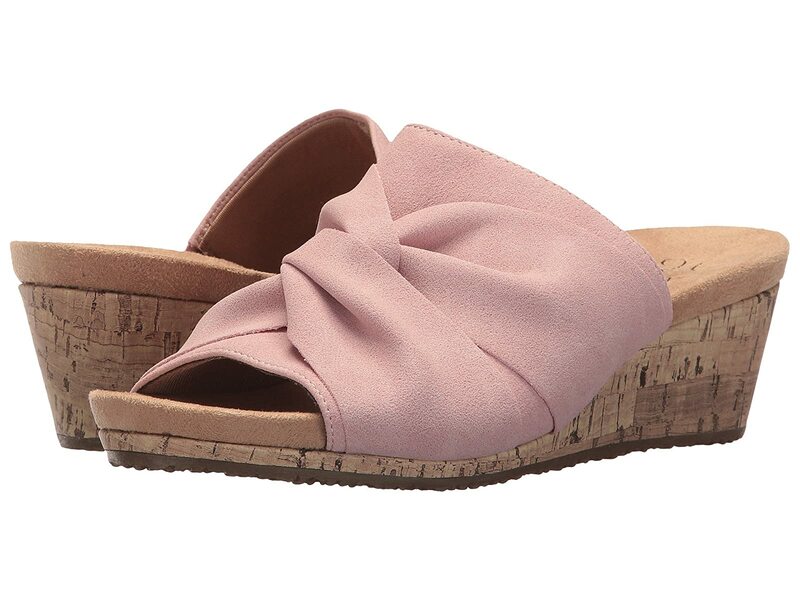 The Mallory wedge has a cute and summer-ready style that will be perfect both at the beach and on a cruise. Synthetic microsuede upper in knotted detail. Slip-on design with peep toe design. Cushioned and contoured Soft System® comfort footbed. Durable traction outsole provides excellent stability.